Offering a hip array of teen accessories, shoes and apparel inspired by music. It’s that time again…time to redeem that HOT CASH that has been burning a hole in your pocket. 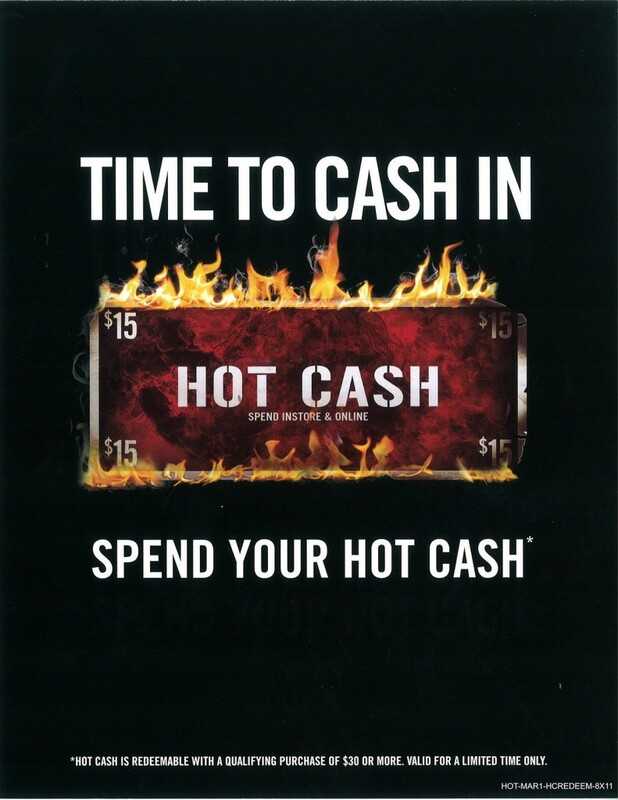 Come in to Hot Topic and redeem your $15 Hot Cash certificates April 19th through 29th. Don’t delay! It’ll be over before you know it!